I was reading an article, A Boost in Online Money Courses, on the Wall Street Journal yesterday, and from there I went to a website called Open Courseware Consortium. This is the first time I knew the existence of such a website, so I decided to check it out. So what is Open Courseware? An OpenCourseWare is a free and open digital publication of high quality educational materials, organized as courses. The OpenCourseWare Consortium is a collaboration of more than 200 higher education institutions and associated organizations from around the world creating a broad and deep body of open educational content using a shared model. The mission of the OpenCourseWare Consortium is to advance education and empower people worldwide through opencourseware. 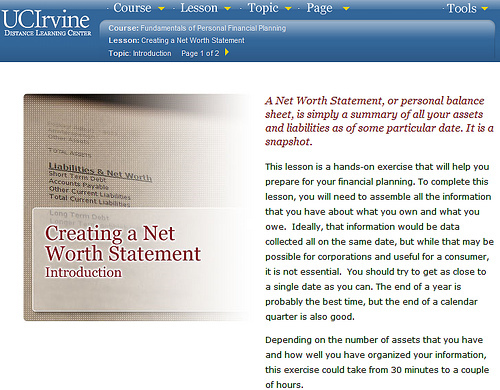 After a quick look, I think the course is very helpful in explaining the basic concepts of personal finance. Check it out yourself to see if you like it. BTW, this isn’t the first time that I heard people went back to school to sharpen their skills in order to stay competitive as companies laid off millions of workers in the past year (OK, the situation in this case is a little different from the above). Enrollments in community colleges and online schools soared in the second half of 2008, boosting educational stocks. Take a look at the following chart of Apollo Group (APOL), the operator of University of Phoenix. The stock gained another 9.2% last year after rallying 80% in 2007, comparing to the 38% loss of the S&P in 2008. Year-to-date, APOL rose 12%, according to Morningstar. Apollo’s competitors, DeVry (DV) and ITT Educational Services (ESI), also saw a nice run since 2007. But is it too late to invest in educational stocks, given how much they have gained in the past two years? Reader Question: Is it OK to Get a Business Credit Card when I Don’t Own a Business? 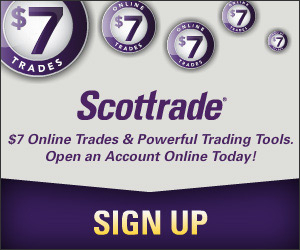 Great resource, thanks for the information.